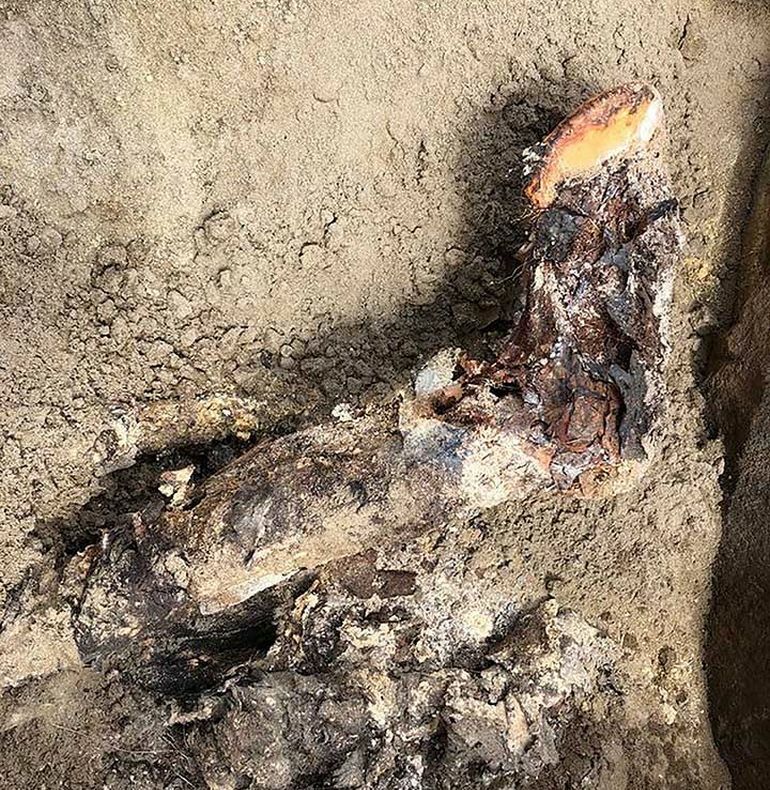 Archaeological investigation in the southern part of Siberia has brought to light the mummified remains of a woman, buried in silk and surrounded by riches. 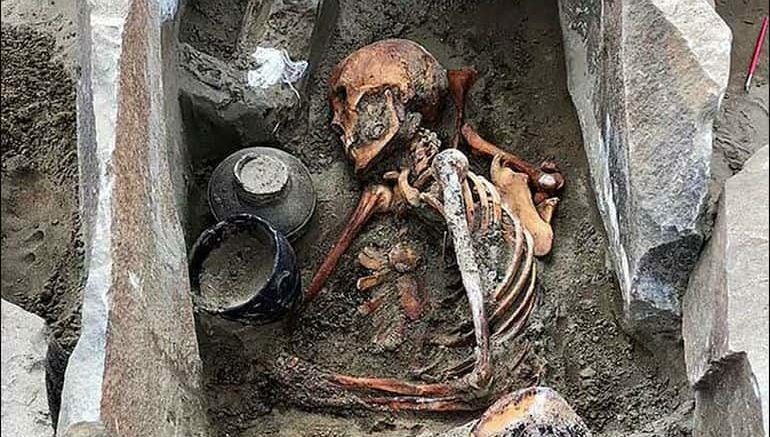 Discovered on the bank of the Yenisei River upstream of the gigantic Sayano-Shushenskaya dam, near the Russian city of Krasnoyarsk, the grave remained untouched on account of being underwater for several decades. The mummy of a young woman was found inside a grave at the burial ground Terezin on the shore of a water reservoir. The lower part of the body is well-preserved. It is not a classical mummy, though. The grave remained tightly sealed under the stone cover all along. The body underwent natural mummification. 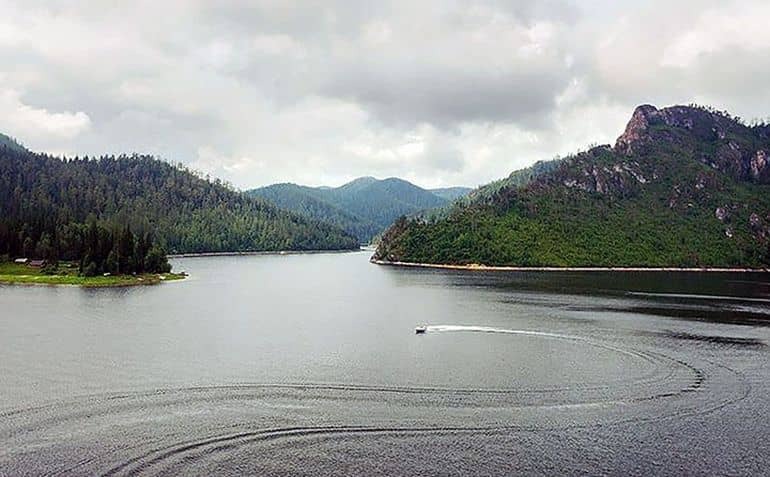 Interestingly, the Sayano-Shushenskaya dam – located near Sayanogorsk in Khakassia – is currently the largest power plant in Russia and also the ninth largest hydroelectric plant in the entire world. 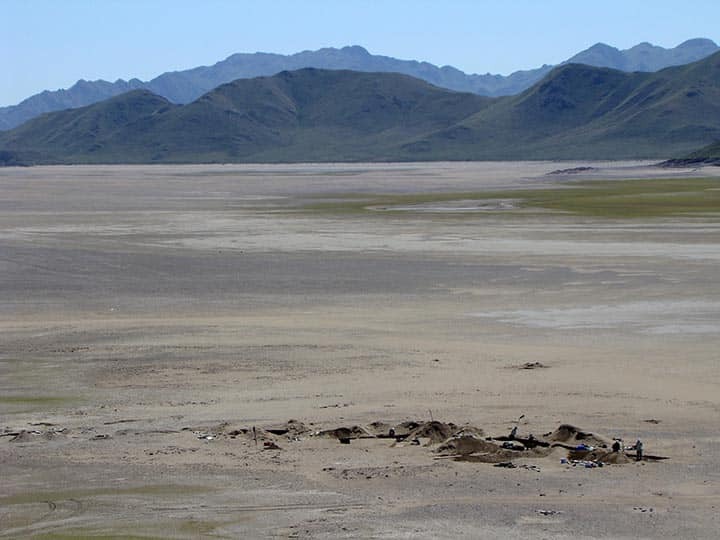 Every year during May and June, the waters around the reservoir recede, thus making the archaeological sites in the area accessible to archaeologists. The tomb of the sleeping beauty in Siberia was opened and surveyed for the first time this May. On the mummy are what we believe to be silk clothes, a beaded belt with a jet buckle, apparently with a pattern. Near the head was found a round wooden box covered with birch-bark in which lay a Chinese mirror in a felt case. Among the burial goods recovered from the site were two vessels, one of which was a typical Hun-style vase. Ceramic utensils often accompanied the deceased, as per Hun burial practices. 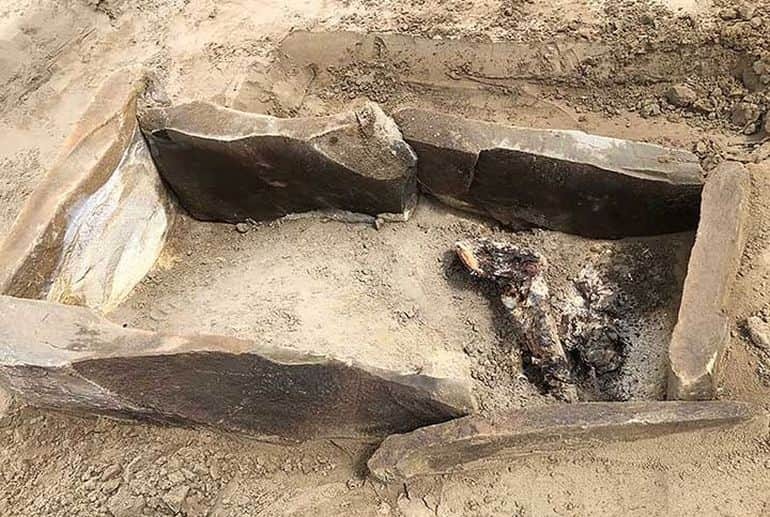 Both of the vessels, according to the researchers, contained the remnants of what appears to have been a funeral meal. Additionally, a small pouch of pine nuts was also found on her chest. 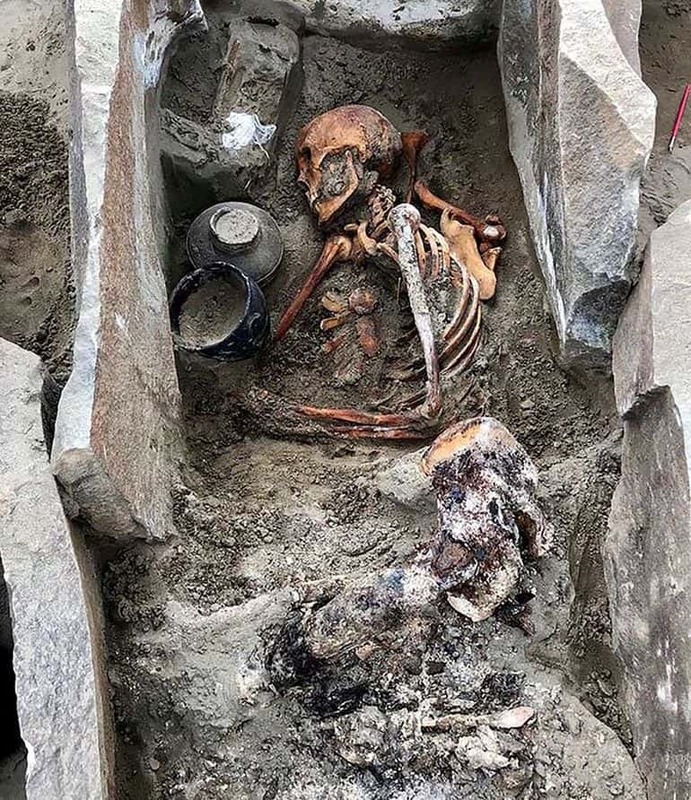 The 2,000-year-old skeleton has already been removed from its burial place in Siberia, with its restoration currently underway. The researchers are hopeful that further analysis of the remains found inside the grave will reveal more information about her life and times. 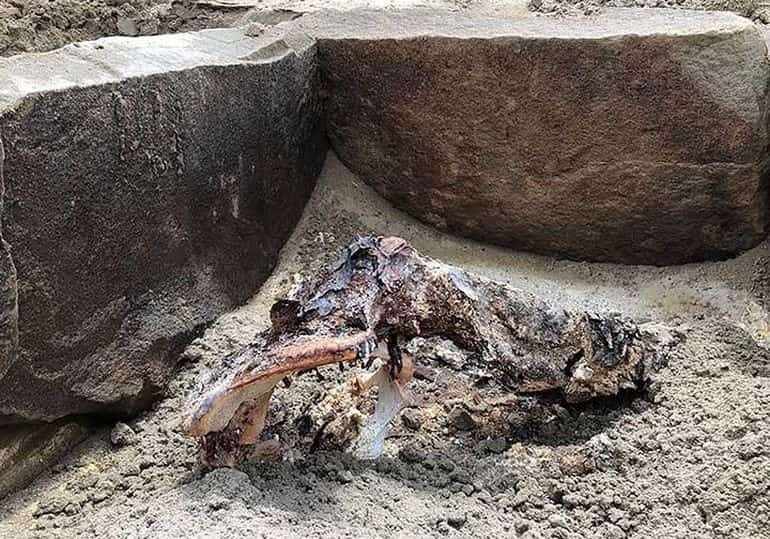 Like the sleeping beauty, there are several other instances of natural mummification, where the skin and organs of the deceased person/animal were accidentally preserved without the use of chemicals. Historically, natural mummification has generally been the result of lack of environmental oxygen, extreme cold or arid conditions. Discovered quite accidentally by a group of hikers in 1991 in the Oetztal Alps (in modern-day north Italy), Ötzi the Iceman, for instance, had been entombed underneath an alpine glacier for nearly 5,300 years. Interestingly, a research done in 2015 also established how Ötzi (or Oetzi) is the oldest known tattooed human in history, with as many as 61 markings spread across 19 parts of his well-preserved body. More recently, researchers reconstructed a ‘fairly reliable approximation’ of the Iceman’s voice in accordance to the vocal components of the mummy. Earlier this month, archaeologists working at the site of Viminacium, an ancient Roman city located in present-day Serbia, discovered a well-preserved sarcophagus containing a variety of treasures, including a silver mirror, glass perfume bottles and gold jewelry. The rectangular sarcophagus, as per reports, houses the skeletal remains of two upper-class Romans. According to Ilija Mikic, an anthropologist overseeing the excavation, the skeletons belonged to a tall, middle-aged man and a slim younger woman. The latter was found adorned with golden earrings, a necklace as well as several ornate hairpins. Additionally, researchers uncovered a silver mirror and three delicate glass perfume bottles around the female inside the sarcophagus. A silver belt buckle, along with the remnants of shoes, were discovered on and around the male skeleton.